One in three teens will experience some form of abuse in their dating relationships. If you have someone in your life who might be at risk, reach out. 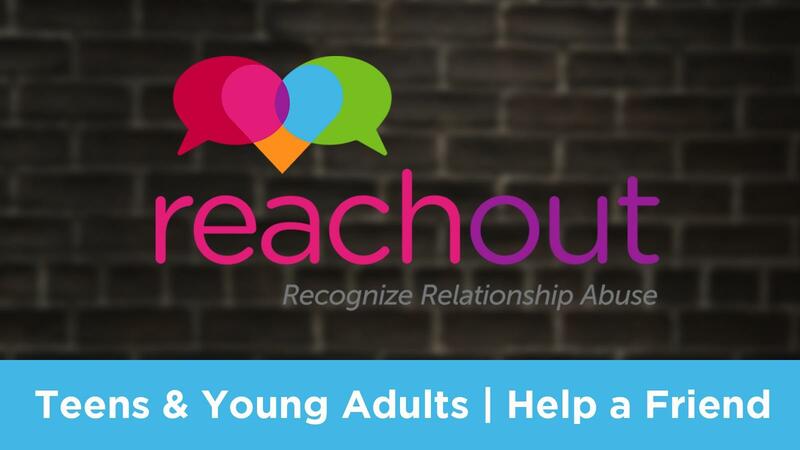 Learn how to identify the red flags and warning signs of abuse among teens and young adults and explore effective ways to begin the conversation with a young person about healthy and unhealthy relationships. Domestic abuse is not limited to adults; young people are already being subjected to relationship abuse in their teenage years. According to a study in the American Journal of Public Health, one in three teenagers report experiencing some form of relationship abuse. One in three! The abuse can be physical, but doesn’t need to be. It can be emotional, verbal, and especially for teens and young adults, digital. Relationship abuse (also known as dating abuse, dating violence or intimate partner violence) does not discriminate and can happen to anyone in any relationship, whether it’s one that is casual or serious. Victims generally don’t self-identify, and that’s especially true for young people. They don’t see themselves as victims of abuse. They are "in love" and abuse has likely developed over time. Only a third of those who are on the receiving end of the abuse ever reach out for help. It’s an issue that hides in the shadows. We can all do something about relationship abuse – and we really need to, especially among young people. It’s often up to the trusted adults in their lives – parents, teachers, coaches, doctors, bosses and others to see the red flags and then reach out when they recognize them. This is too important to ignore. You literally can help save someone’s life. 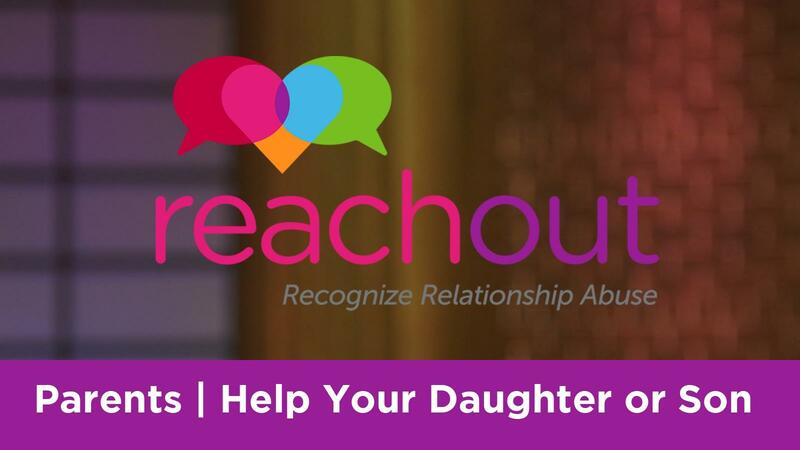 If you suspect someone you care about is in an abusive relationship this website is here to support you in your effort to empower the person you are hoping to help. 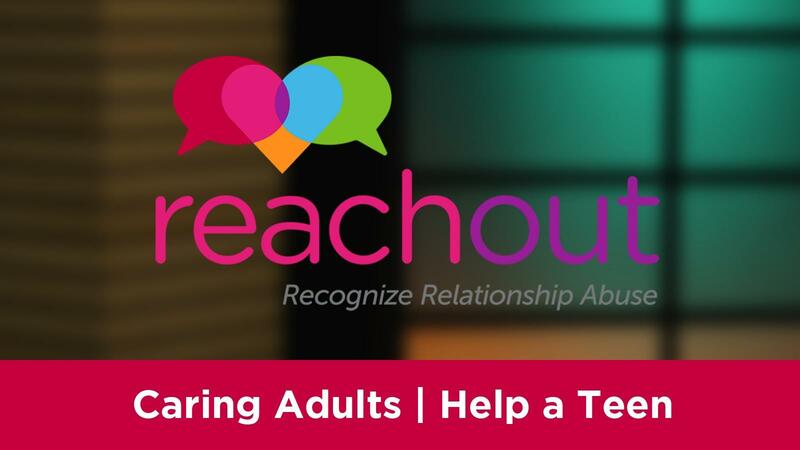 Browse our website to learn more about the red flags and warning signs, types of abuse, and most importantly – how to take action and talk with a teen or young adult you are concerned about. We’ll walk you through how to prepare to have a conversation, what to do/say and what NOT to do/say. There are sections with specific information for parents, teachers, caring adults and friends. As you go through the website watch the videos and download the resources. If you need additional support, have questions or need more guidance visit the help page where you'll find resources like the Family Justice Center who can connect you with trained expert advocates and additional support. One in three teens will experience some form of abuse in their dating relationships. If you have someone in your life who might be at risk, reach out. 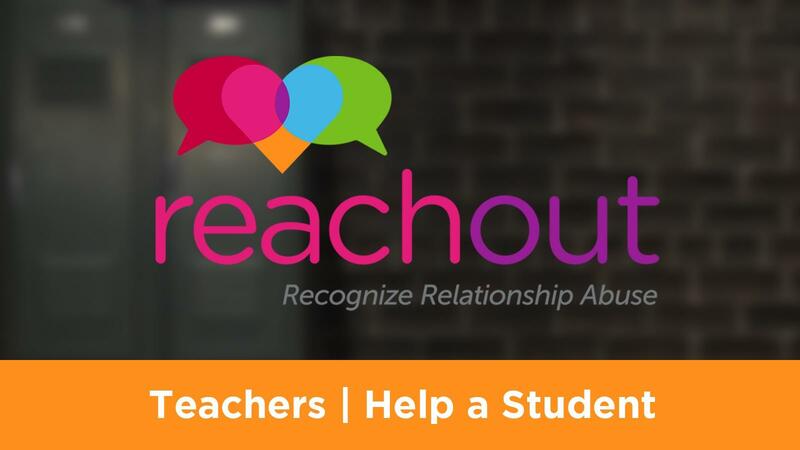 Get advice from experts and survivors about effective ways to begin the conversation with a young person who might be in an unhealthy relationship.